John Atherton is Deputy Director of the Gastroenterology and Liver disorders theme within the NIHR Nottingham Biomedical Research Centre. He was the founding Director of the original NIHR Nottingham Digestive Diseases Biomedical Research Unit. John is also the Pro Vice Chancellor and Dean of the Faculty of Medicine and Health Sciences in the University of Nottingham. His main research interests are in the virulence of the stomach bacterium Helicobacter pylori, in the pathogenesis of peptic ulceration and gastric adenocarcinoma, and in the role of H. pylori in modulating other diseases. He supervises both laboratory and clinical research. He has held both MRC Clinician Scientist and Senior Fellowships and was awarded the Sir Francis Avery Jones Research Medal by the British Society of Gastroenterology. John’s medical education was at Cambridge then Oxford University. After post-graduate training in medicine and gastroenterology, he trained in gastroenterology research with Professors Chris Hawkey and Robin Spiller in the UK, and in infectious disease research with Professors Martin Blaser and Timothy Cover in Vanderbilt University, USA. He settled in the University of Nottingham in 1995 and became a full Professor in 2001. In this role John continues to practice clinical gastroenterology as an NHS Consultant, through patient clinics and endoscopy lists, specialising in upper GI diseases. He teaches medical students and specialised masters students. Outside Nottingham, John serves on the UK Medical Schools Council Executive as Treasurer. 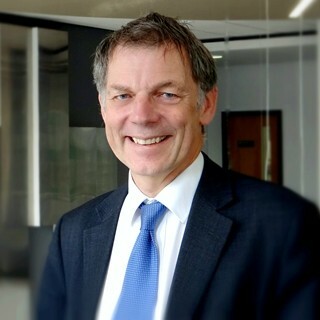 He is the Chairman of Midlands Health Innovation which co-ordinates activity, particularly industry and NHS liaison, between the research-intensive Midlands Universities. From 2013-2017 he was the Secretary-General of United European Gastroenterology, the body representing gastroenterologists and others interested in digestive diseases in Europe. Does Helicobacter pylori protect against oesophageal adenocarcinoma, and if so, how?